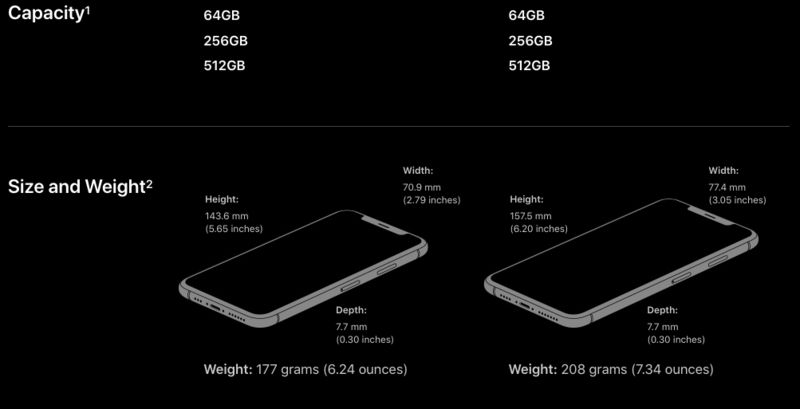 Apple will be hoping that bigger is better with the release of their new phones because while there wasn't a massive overall sea change in terms of the design, the XS Max is a very big unit. With a 6.5-inch screen, it's set to be one of the largest smartphones on the market. In comparison, the Samsung Galaxy S9 Plus (6.2-inch) and even the Galaxy Note 9 (6.4-inch) are smaller so it's definitely going to stand out. For tech savants, the iPhone XSs offers a new processor for faster performance, storage space up to 512 GB and an overall improved display for better colour representation. Both will have dual SIM capability meaning you can have two numbers on the same phone. From Friday morning, 14 September, you can pre-order the iPhone XSs from the Apple Ireland website and it costs €1,179 with an option to buy it in silver, space grey, or gold. The iPhone XSMax is a little bit more expensive as it will set you back €1,279 and it's available in the exact same colours. As for the iPhoneXR, the price is €879 and it has a 6.1 inch display. Unlike the other two models, this phone comes in a variety of different colours - blue, white, black, yellow, coral and red. If it's specs on the iPhone XS and Phone XSMax you're after, here's what you need to know. 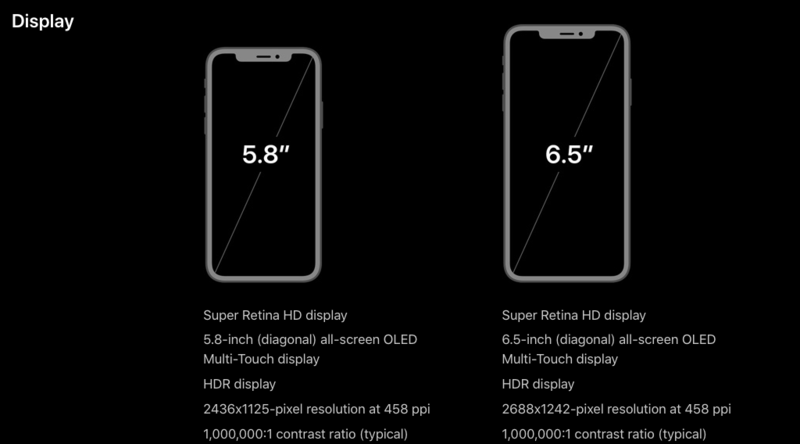 FYI, the iPhone XS is on the left of the graphic and the iPhone XS Max is on the right. Here's some information, meanwhile, regarding the iPhoneXR. The XS will also have a dual camera system, which promises a sharper camera when combined with an A12 bionic chip inside. 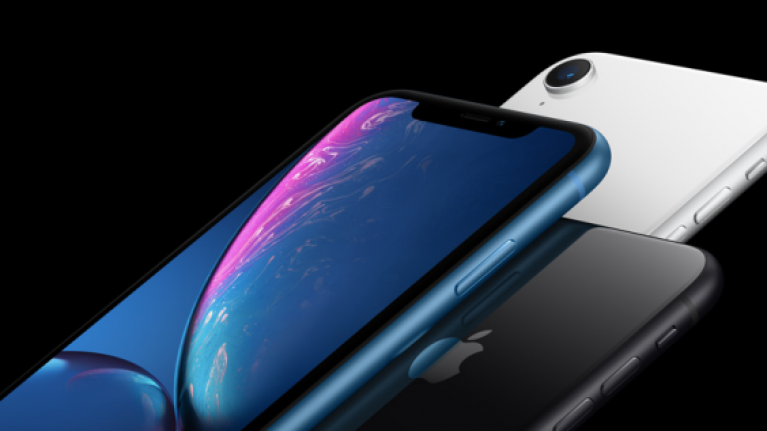 The XR will have single camera 12-megapixel wide-angle lens. The preorders for the iPhone XS and XS Max begin on Friday, 14 September and phones will go on sale on 21 September. The iPhone XR preorders begin on 19 October and the phone will go on sale on 26 October. All information can be found on the Apple Ireland website here.